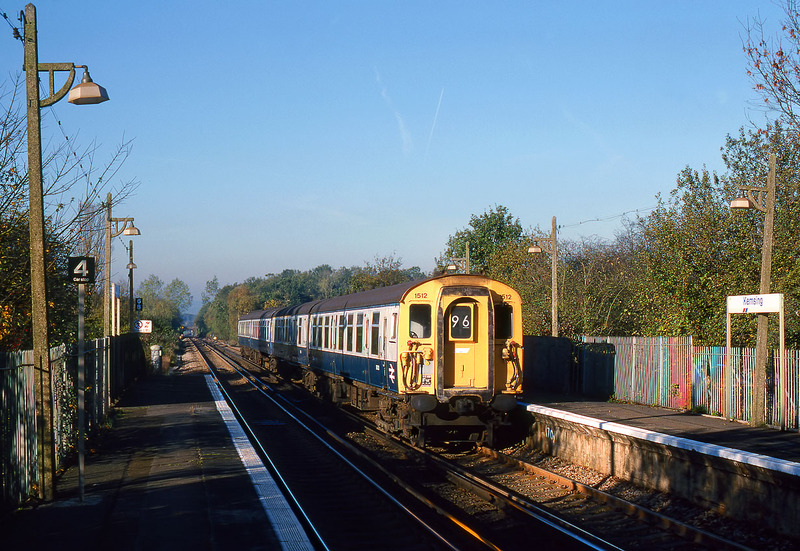 Class 411 4-CEP 1512 arrives at Kemsing station on 29 October 1988 with the 07:57 Victoria to Ashford Network SouthEast service. This is now a historic picture, as not only has the slam door stock long since left the network, but also these characteristic Southern Railway concrete lamp posts have now been replaced by modern examples. I've no idea why something as seemingly permanent as lamp posts should need replacing, although it has to be said that most of these are anything but vertical!